Storm Ernesto will bring with it a "Post-Tropical Cyclone" and we are expected to at least get the tail-end of the Subtropical Storm which has formed out in the Atlantic. 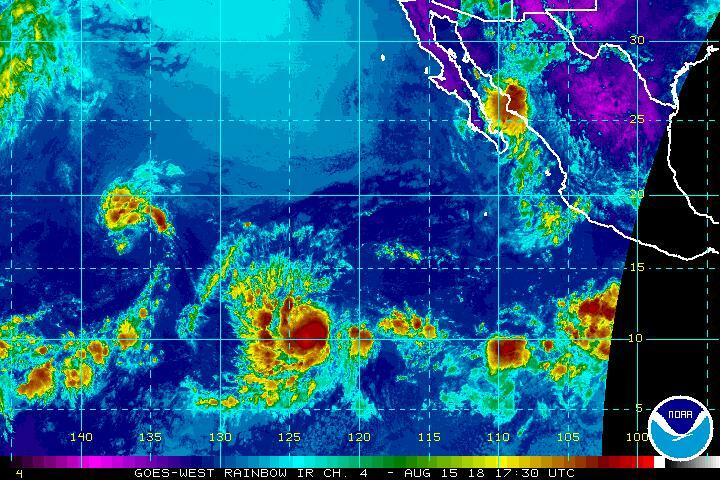 Meanwhile, the Pacific's Tropical Storm Lane is 1,285 miles (2,065 kilometres) southwest of the southern tip of the Baja California Peninsula and is heading west at 13 mph (20 kph). It has maximum sustained winds of 40 miles per hour and is moving north at 8 miles per hour. A turn toward the north-northeast is expected later today, and a faster northeastward motion is expected by late Thursday and should continue through early Saturday. "There are still more storms to come - the hurricane season is far from being over", Gerry Bell, lead seasonal hurricane forecaster at NOAA's center said last week in a call with reporters about the new forecast. Further intensification is likely over the next few days as Lane encounters a conducive large-scale environment consisting of low shear and fairly warm waters. Given that some of the guidance (FSSE and HMON) are even higher than that, this seems like a reasonable forecast and is indicated below. However, some slightly drier air is also moving in and reducing the number of storms that will form, so the rain chance will be slightly below the average. The latest official track forecast is adjusted in that direction, and is not too far from the latest model consensus.